Kuba was born in 2001 with many birth defects; spina bifida, myelomeningocele, hydrocephalus, hip dysplasia and club foot. In his short life, Kuba has undergone many operations; closure of myelomeningocele, placement of ventriculoperitoneal shunt that regulates hydrocephalus, feet surgery and hip reconstruction. Unfortunately, there are more operations ahead, surgery of both feet being the nearest one in the future. Jakub is under supervision of many specialists: a neurologist, endocrinologist, urologist and orthopedist in Poznan. Jakub is rehabilitated every day since the beginning of his life, because only intensive rehabilitation takes effect. 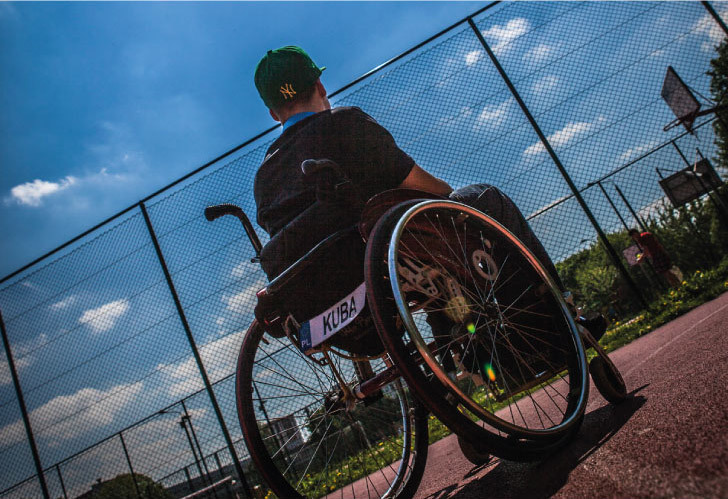 Frequent rehabilitation camps 3 times a year, which bring Jakub back on his feet, are very expensive. Kuba is a great boy with lot of passion and ambitions, and his greatest love is music and sports, he swims and goes to the gym to strengthen his ailing legs. He loves to study, especially English. This year he enjoyed skiing with special skis for wheelchairs. Our company funded a treadmill which is necessary for Jakub’s rehabilitation. 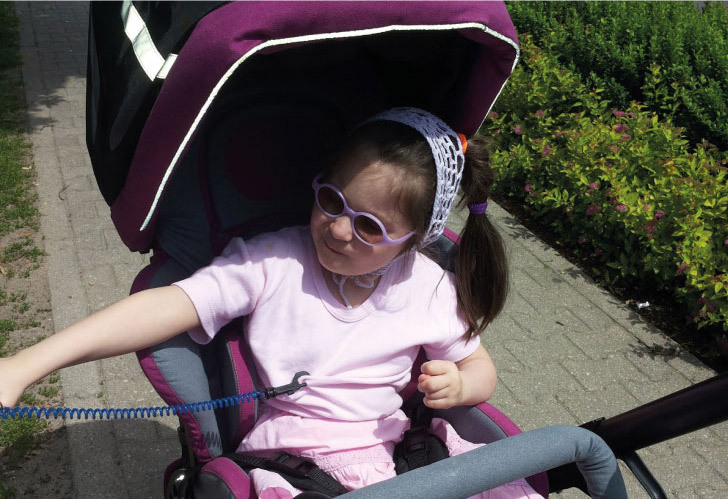 Zuzia was born on 6th of June 2008 with innate cytomegalovirus, cerebral palsy, drug-resistant epilepsy, hearing loss in both ears and the von Willebrand disease. Cytomegalovirus has damaged Zuzia’s right eye, causing a chorioretinal scar. In 2009, she underwent an operation, in which a cochlear implant was inserted into her right ear, what made her more outgoing. Zuzia is under constant supervision of a nerologist, hematologist, laryngologist, endocrinologist, speech therapist, orthopedist and ophthalmologist. Due to her daughter’s health state, her mom spends all of her time on treatment and rehabilitation, and drives her to various general and physical exercises. Zuzia likes to play with her uncles and aunts, they look at pictures, watch cartoons and listen to music together, they also teach Zuzia how to walk. She enjoys swimming in the swimming pool the most (water is her element). She likes eating and trips in a car. She loves cuddling her mom and dad. 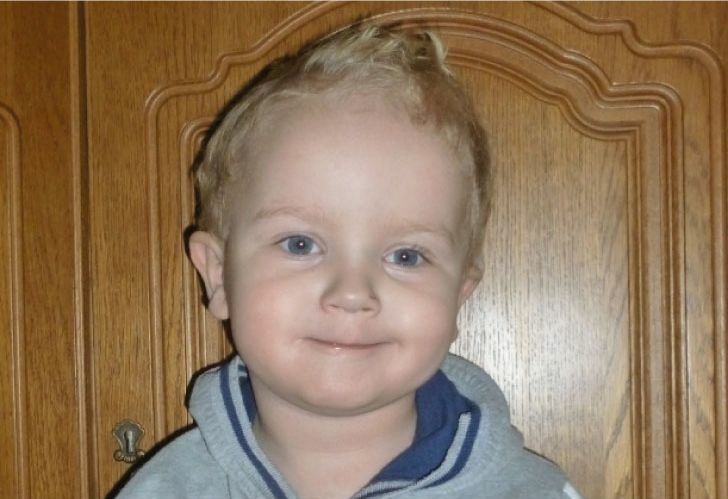 Olek was born on 9th July 2012 with a congenital heart defect — HLHS (lack of the left heart ventricule ). Not once did he fought for survival. He has undergone three open-heart surgeries, including a last-minute one in Germany, performed by professor Malec. He is expecting the last stage of the operation that will take place in March 2015. Olek is constantly supervised by a cardiologist, he undergoes cardiac catheterisation and will be taking drugs for the rest of his life. The boy is cheerful and energetic. He loves toys, especially cars and enjoys watching cartoons. Olek does not differ from other children physically or mentally, he only gets tired easily. He takes advantage of every day fully. Olek lives and has a chance for a normal life thanks to people of good will. Maja was born on 14.10.2009. At the end of July this year she was rushed to the hospital with neurological signs. After examination, she was diagnosed with multifocal brain tumor — malignant glioma. She was transferred to the Children’s Memorial Health Institute in Warsaw, where she underwent a neurological surgery in order to remove the biggest tumor that was threatening her life directly. Due to the presence of few brain tumors, she has very small chances of recovery in Poland. Radio- and chemotherapy are lengthy and exhausting for her organism. A chance appeared to remove the rest of the tumors in Germany. Thanks to people of good will Majeczka went there for consultation and examination. Unfortunately, the cancer turned out to be the most malignant out of every glioma and the surgery is impossible for now. 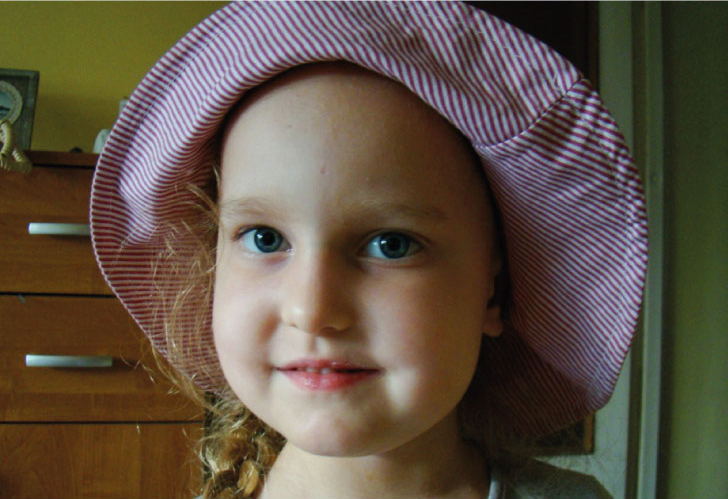 Maja underwent four circles of chemotherapy, currently she lives in Warsaw and is undergoing radiotherapy. Maja is a cheerful and energetic little girl, full of life and happiness. She can get along with everybody regardless of age. She loves to move, dance and sing. She likes fairy tales books very much. Most often she plays with mini-figures of princesses and cartoon characters. In these hard time, she is the one who brings happiness, determination and strength to her parents. GEPETTO is an association for people with autism and other intelectual disabilities, that started on 29th of March 2004. At first, the group of our parentshad monthly therapeutic consultations that included about 15 children, organised by therapists from the Association for People with Autism. Our “Burrow” Gepetto (as we called our office ;-) ) was located in the Primary School no. 5 near the playground. In the burrow we organised individual therapy, augmentative and alternative communication, tactile therapy, massages, dog- and cat-assisted therapy. Here we also had consultations on how to feed autistic children and properly facilitate their development. We decided to create a center for children, teenagers and adults with autism as well as their parents. After many months (years) of talking, consultations and hard, but fruitful groundwork with autistic children we completed step 1 and on 1st November 2013, prior to signing an agreement with the city of Konin and under the current contract, we obtained keys to our new place on Earth, located at 14 Powstańców Wielkopolskich Street in Konin. Szlachetna paczka (the Noble Box) is a national event of supporting families in very difficult financial situation, very often making their dreams come true. It was first organised in 2000, when a group of students from the university chaplaincy center under the guide of father Jacek Stryczek (currently the President of Stowarzyszenie Wiosna (Spring Association)) offered gifts for 30 poor families. The event is based on private donors who help people that need the most. Those needs are identified by the volunteers and registered in an anonymous online database. The donor can choose a family they want to help and prepare presents according to their needs. Two weeks before Christmas the family receives the gift in the presence of volunteers. This year Wito employees participated in the event and prepared a box of presents. Our company has been taking part in every edition of Wielka Orkiestra Świątecznej Pomocy (The Great Orchestra of Christmas Charity) since 2005. Every year we list a heart during the auction from which the money goes to WOŚP. Most auction we took part in were located in Oborniki near Poznań. During 10 years of our support we listed and bid over 20 items. WITO took part in a charity event “Tola - oszlifuj brylantowe serce” (Tola - polish a diamond heart). The auction took place during a New Year’s toast organised by the Mayor of Oborniki. We managed to bid two items and the money went to finance Anatola Kubowicz’s surgery. To support Fundacja “Ja nie mogę czekać” (The ”I can’t wait” foundation), our company financed the rehabilitation of two boys. 3-year-old Julek is autistic and 5-year-old Jędrzej has serious social anxiety. They have been diagnosed and will receive necessary therapy that will give them a chance for a better life now and in the future. Fundacja "Ja nie mogę czekać"